My friends, I think it is time I officially said something. 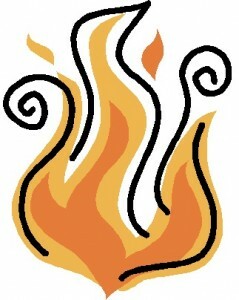 That something is that my novel, Into the Flames, is scheduled to be published. Consortium Books has graciously allowed me to line up in the queue, and my release date is set for mid-March 2012. Here’s where I am in the process right now: I’m halfway through the second draft of the book. Yes, that is all. But the release date is the deadline that I need looming over me to make this come to fruition. Working with the door closed is not enough. I have to know that others are going to be reading it soon, and it has to look presentable. In case you don’t know, Into the Flames is a Young Adult novel about a girl named Rahab Sapphira Carmichael. She has recently transferred from public school to a private boarding school and is looking for new friends. Rahab is a lot like me in that she is anti-social, which makes it hard to make friends, and she knows a lot of random facts that sometimes just come spewing out of her mouth without warning, which also makes it hard to make friends. She is not like me in that she loves to swim and she used to have a pet iguana. Developments of the plot include a chatterbox name Scout, an almost-mute named Hawkins, an obnoxious boy named Bracken, and a lot of people who think that ping-pong is the most important sport in the world. (Random fact: ping-pong has been an Olympic sport since 1988.) I would tell you more, but just in case I haven’t told you all about it already or you haven’t read the first draft, I want it to remain shrouded in mystery. Everything is more intriguing that way, isn’t it? P.S. If you want to see what Consortium Books has been publishing recently, here’s a link to Courtney Cantrell’s Colors of Deception and to Aaron Pogue’s Gods Tomorrow. I highly recommend both. 13 Responses to Extra! Extra! Read All About It! That is awesome and exciting news! Who will be your editor? I’m available for some “nurturing.” BWAHAHAHA!! HAHAHAHAHA that’s funny, Josh. Thanks for your offer. Maybe I will entrust it to you for some beta reading. Right now my friend and fellow editor from Tate is schedule to copyedit it, but I will probably need another one for conceptual editing. If you need another beta reader I’d be glad to read and give feedback. I need to read the other books scheduled for this year first, but I would definitely like to read yours too. I welcome all feedback I can get, Carlos. I’m hoping to get the second draft completed in October so if you’re free then, I’ll give you a copy. Thanks for offering! I told Michael and KT about your book and they both expressed interest and, Michael specifically, said they had time to read it. I told them what you were needing was people who didn’t know the story and could tell you if the characters were good, basically. Thanks, and yes, Courtney, I was at work. Unfortunately, life keeps getting in the way of my writing. Nagging when it concerns deadlines is not my forte. As to spewing facts out of my mouth without warning, I can help with that. Maybe I could spew some random facts about deadlines. . .
Congratulations. Uber exciting. Now that I have read ein bisschen of your work, I’m eager for more. Thanks, Becca! I’ll be sure to give you a copy when I can.